Nowadays app developers are coming up with some great stuff to explore the business tricks, Snap2PDF – Scan Documents & Share Searchable PDF is one such simple tool that could be useful for the business concerns. 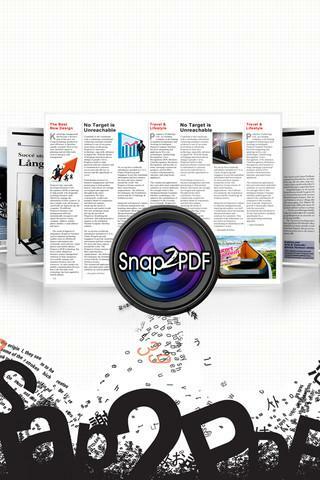 The Snap2PDF app from Penpower Technology Ltd. is a digital scanning application that enables you to use your camera from your iPhone to turn any document into a PDF, With a simple click, you can categorize and easily stay on top of bills, permission slips, forms, and more. Snap2PDF allows you to take multiple images for docs that are more than one page, keeping the files together for easy use. The anti-shake function makes taking a picture a breeze and there is also special image enhancing features, including Image Rectification and Gamma correction, to help brush up images. I found this especially helpful with images that had lighting issues. My favorite feature by far was the OCR (Optical Character Recognition) technology that was able to identify text and recognizes up to 21 languages! The ability to upload documents to Dropbox is hidden behind an icon with a hammer on it for some inexplicable reason, and this is a completely different place to where the “attach to email” and “save as PDF” functions are located. Fortunately, a comprehensive help file within the app provides full instructions and definitions of all the icons, meaning it won’t take long for the user to learn what each of the symbols means. There are relatively few functions in the app as a whole, so it’s not a huge issue, but it may prove daunting to new users who find themselves easily bewildered by unfamiliar, unclear icons. Cons: Even though the app has the advance OCR technology in some sort of time for iPhone the particular word or a letter is not been recognized properly comparing to iPad, other than Snap2PDF is very good solid choice for the best document management app. 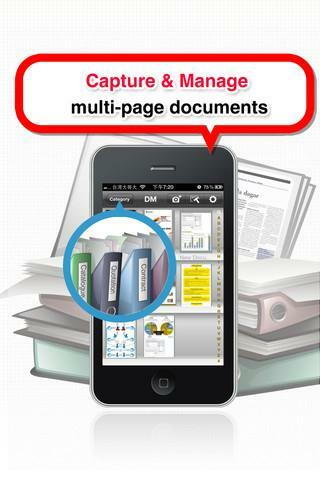 Snap2PDF is an universal app and it is available in the iTunes store for $2.99 only. I’ve found a excellent optical character recognition app which changes pictures to doc files. It works very well compared to lots of the other ocr apps that do this.